How often have you sat in front of a speaker who just rattled on about something without getting to the point? Or failed to inform, explain, persuade or enlighten you on a subject, but instead confused you? Perhaps it was at a business presentation, in a church sermon, wedding reception or other family function? This often happens because the communicator doesn’t know what they are trying to say. In fact they are probably using your valuable listening time to work it out themselves! 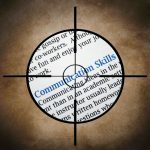 Before you communicate – whether as a speaker or writer, you need to be clear on what you wish to achieve through your communication to be effective. This requires clarifying your purpose. Before putting pen to paper or fingers to the keyboard for a document, speech or video script, it’s important to write down your purpose. Think about what you want to achieve through your communication. For example, do you want to convince someone that you’ve got the best solution? Or inform people on a particular event? Or explain to people how software works? Having a purpose behind your communication or interaction is like having a mission statement. It gives you a guide on what to communicate as well as a measuring stick to use during and after you write to make sure you achieve what you set out to achieve. Jim Rohn once offered the secret to communication success: have something good to say, and then deliver it well. I think he was spot on. Having something to say means knowing what you want to say before communicating. And the first step to that is having a clear purpose for writing that keeps you on course through your whole cretive process. A purpose description with these three elements will force you to think clearly about what you want to achieve so that you can do everything to meet your purpose when drafting and delivering your content or message. There are a lot of reasons why this works and how you can use it more powerfully to improve your communication, which I go into in my university validated book Bullseye! – Getting the RIGHT message to the RIGHT audience. But this quick guideline on writing purpose is enough to get you started started in creating your own communication success.